Shop online for 41 glencoe plastic models at discounts up to 46%. Airplanes is the most popular of the 8 glencoe plastic models categories, then Space, and Ships. This is the 1/144 Scale Mars Liner Rocket Ship Plastic Model Kit from Glencoe Models. 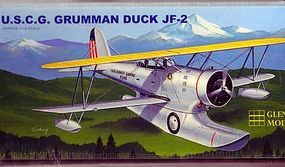 This is the 1/48 Scale Duck J2F2 Amphibian BiPlane Plastic Model Kit from Glencoe Models. This is the 1/48 Scale USCG Rescue Boat Plastic Model Kit from Glencoe Models. 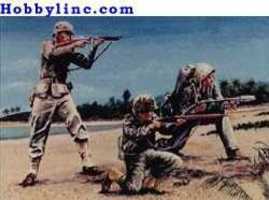 This is the 1/32 Scale US Marines (20) Plastic Model Figures from Glencoe Models. 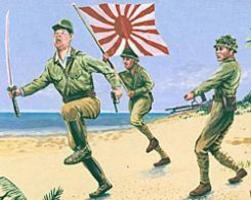 This is the 1/32 Scale Japanese Infantry (20) Plastic Model Figures from Glencoe Models. 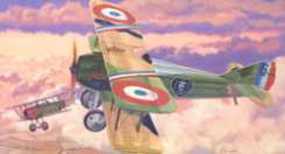 This is the 1/48 Scale Spad XIII French Aces BiPlane Plastic Model Kit from Glencoe Models. This is the 1/48 Scale BELL X-1B Plastic Model Kit from Glencoe Models. This is the 1/120 Scale Iron Musclemen Locos General Civil War Hero & Porter Switcher Plastic Model Kit from Glencoe Models. This is the 1/500 Scale SS France Plastic Model Kit from Glencoe Models. This is the 1/400 Scale Nautical Workhorses Tug and Mississippi Southern Belle Plastic Model Kit from Glencoe Models. This is the American Mini Sails USS Constitution & Gertrude L. Thebaud Ships Plastic Model Kit from Glencoe Models. This is the 1/72 Scale 1950s LeSabre Concept and 1/60 Scale Kurtis Kraft Racer by Glencoe Models. 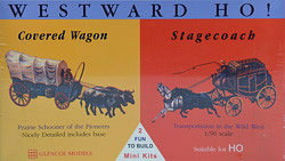 This is the 1/120 Scale Classic Iron Horse Locos Central Pacific & Cabbage Stack Plastic Model Kit from Glencoe Models. This is the 1/15 Scale M274 Mechanical Mule Plastic Model Kit from Glencoe Models. This is the 1/96 Scale Vickers Viscount 708 Airliner w/Air France & Northeast Airlines Markings Plastic Model Kit from Glencoe Models. This is the 1/32 Scale Pirates (16) from Glencoe Models. This is the America's 1st 1/110 Spirit of St. Louis & 1/105 Wright Brother's Flyer Plastic Model Kit from Glencoe Models. This is the 1/96 Scale Vickers Viscount 745 Aircraft Plastic Model Kit from Glencoe Models.